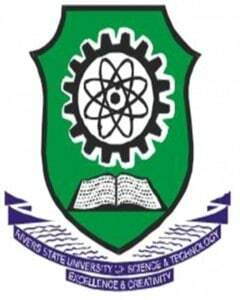 Rivers State University of Science and Technology, Port Harcourt, (RSUST) undergraduate Sandwich admission form for 2018/2019 academic session has commenced. This is to inform all interested candidates that admission into the 2018/2019 Sandwich Undergraduate Programmes of the Rivers State University of Science and Technology, RSUST, Port Harcourt leading to the award of B.Sc. degree is now ongoing. (a) NCE (with a merit or above level) in Agricultural Education, Business Education, Science Education, and Technical Education with a minimum of five credit passes at WASC/SSCE/TE.II/GCE O’ Level including English Language and Mathematics. Applicants are accordingly advised to log onto the University Website www.ust.edu.ng and make e-payment by generating a transaction id on the University Website for the fee and proceed to any of the designated Banks to pay, using the Pay Direct Bank Branch option or using Interswitch Verve enabled cards. Online Application Must be Completed Not Later than July 19th, 2019. Lecture Starts: Monday 22nd July, 2019.